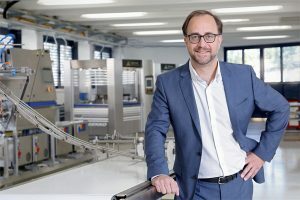 Coffee has made its home at HostMilano, at the historic Sic – the International Coffee Exhibition – which has been welcoming the entire coffee supply chain and its satellite industries for 24 editions. The proximity to other HostMilano sections such as gelato and pastry, offers exhibitors numerous business opportunities arising from the prevailing trend of contaminating different sectors. Coffee is increasingly being offered in retail contexts, and becoming an essential element to expand the offering in ice cream parlours, pastry shops and bakeries, with which sectors it has always shared a deep affinity. Ice cream and coffee, in particular, have become virtually inseparable. Not only are they associated and complementary products, they also contribute to the creation of innovative desserts and high-impact recipes: from nitro coffee to creative solutions combining coffee, ice cream and chocolate, through to increasingly targeted pairings of coffee beans and aromas with sweets or spirits. Extending over a large macro area, Sic offers visitors a unique overview which, in the next edition which takes place 20 to 24 October 2017 in Milan, Italy at Fieramilano Rho, will boast more than 480 companies from 37 countries, operating in the Coffee, Bars and Coffee and Vending Machines sectors. Top industry players will be represented, with Italy in the lead: indeed, 66% of all confirmed exhibitors come from Italy, while 16% come from Germany, 12% from Spain, 10% from Switzerland, 9% from the US and 5% from France. 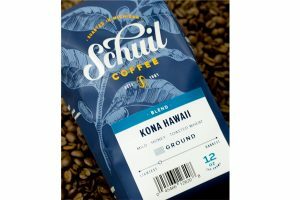 Coffee’s product offering is becoming increasingly diversified, ranging from hot to cold, and from mixology to cuisine, with ever-new recipes and pairings. It is this evolving world, focused on new technologies and product quality, that is featured at HostMilano, offering visitors the chance to choose from a wide range of solutions, both classic and contemporary. 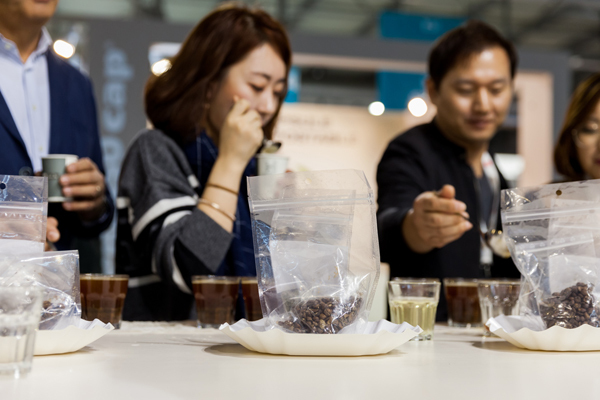 The complex world of coffee, from Italian espresso to single-origin specialities, will emerge at HostMilano, in all its facets, in dozens of demos, tastings and lectures attended by the main industry players and the leading baristas. A rich schedule of high-level events will enrich the Sic exhibition. Leading industry associations will also be present. World Coffee Events and SCA (Specialty Coffee Association) will be in attendance with their global coffee samples and demonstrations before the public, preparing espressos and drip-brewed coffee as well as interesting coffee and alcohol-based concoctions. In partnership with Mumac, the two associations will première Café Chronology, an event that brings to life three different coffee eras: the early twentieth century, the mid twentieth century and the present day. This journey through time will be accomplished through three “bars,” each of which will present a different way of serving coffee and alcohol, also through the use of period machines and furnishings. Altoga, the Lombard Association of Coffee Roasters and Importers and of Food Wholesalers, and Fipe, the Italian Federation of Retail and catering businesses, will collaborate at HostMilano 2017 on an event that focuses on coffee from the green bean to its roasting and grinding, and through to the final tasting. The 5th Gran Premio della Caffetteria Italiana (Italian Coffeehouse Grand Prix) – organized by AICAF (the Italian Academy of Coffee Masters) and supported during the finals by Altoga to promote Italian professionalism and Italian products – will be held on 21 and 22 October. A panel of sensory judges will select the best bartender, whose recipe must include at least one typical Italian ingredient. Hub Coffee Science, an extension of the International Hub for Coffee Research and Innovation, represents a centre for scientific research, where visitors will be able to interact with researchers and use lab instruments to explore the secrets of coffee from an unusual perspective. The public will be offered two experiential routes designed to teach visitors about coffee’s scientific secrets. The first concerns the production process, from bean to brew, while the second addresses the impact of water on the final product, analysing different types and sampling a single type of coffee bean brewed with different waters. The 40th edition of HostMilano will take place from 20 to 24 October 2017. The five-day event, is organised in the following three macro-areas: Foodservice Equipment, with Bread, Pizza, Pasta; Coffee and Tea with Bars, Coffee and Vending Machines, Gelato and Pastry; and Furniture and Tableware.